When it is hot out I find lime to be most refreshing. 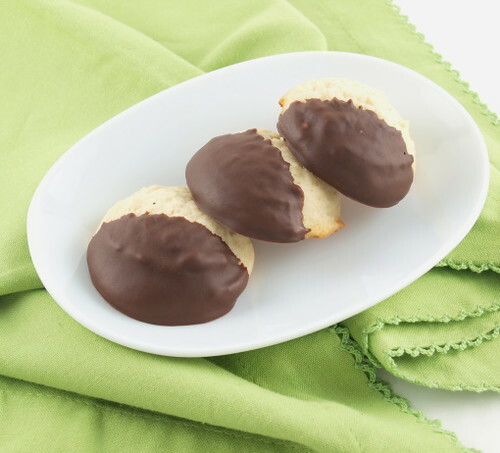 Even in cookie form, lime flavored treats seem to taste the best when the temperature outside starts to soar. We are in the middle of a heat wave in the Dallas area, so I am all about refreshing at the moment. Since I was making cookies with lime I decided to add a little cardamom to the cookies. The floral citrus flavor of cardamom punches up both the flavor and the aroma of the lime without overpowering it. 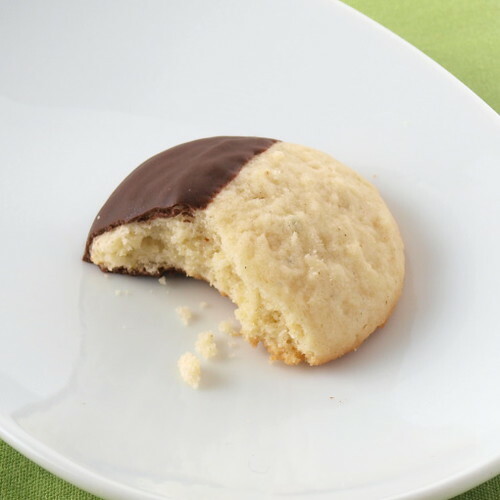 The cookies straight out of the oven are very pale, so I decided to dip half the cookie in chocolate for a dramatic contrast. The chocolate is not merely a cosmetic addition. What you may not know is that chocolate, lime and cardamom play so well together. The tang of lime helps cut the richness of the chocolate, and the aromatic cardamom adds to the depth of the chocolate while adding brightness to the lime. You may need to store these cookies in the fridge if it is very warm. I know with temperatures in the min-100’s I have had to keep them cold, but that just makes them more refreshing in my opinion. Heat the oven to 350 F and line two sheet pans with parchment paper. 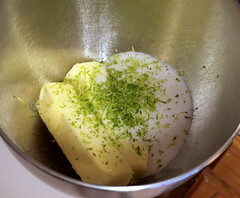 In a large bowl, or in the bowl of a stand mixer, cream together the butter, lime zest and sugar at medium speed until light and fluffy. 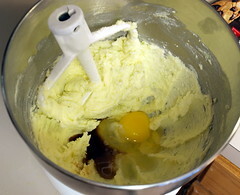 Add the egg, lime juice, and vanilla and mix until well combined. In a second bowl sift together the cardamom, salt, flour, and baking soda. 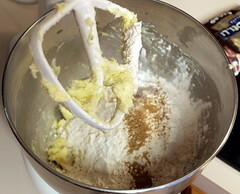 Add the dry ingredients into the butter mixture and mix on low speed until well mixed. Scoop the dough by rounded tablespoons three inches apart onto the prepared sheet pan. 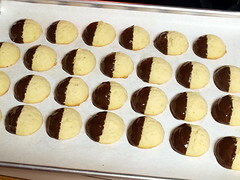 Bake for 10 to 13 minutes, or until the bottom edge of the cookie is just turning golden and the cookies are puffed. Cool for 5 minutes on the pan before transferring to a wire rack to cool completely. 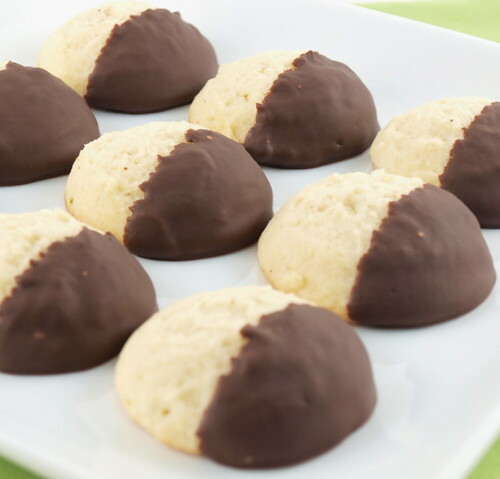 Once the cookies are cool dip half of the cookie into the melted chocolate. 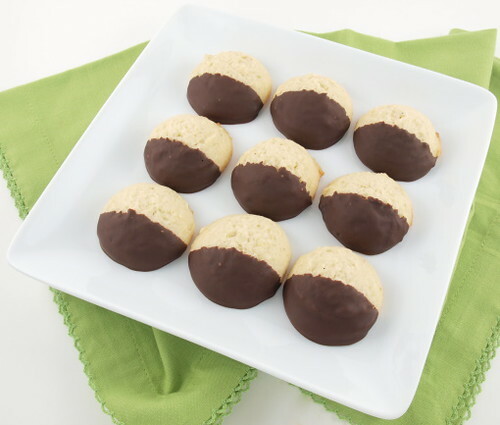 Place the cookies on a parchment lined pan and chill in the refrigerator for an hour.